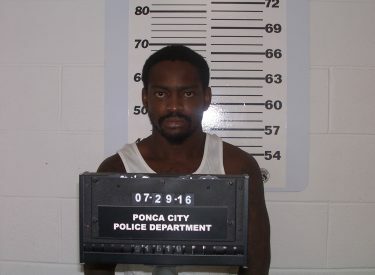 The State of Oklahoma filed four new charges against Marcus Lee Miller, 35, on Monday in connection with a shooting in Ponca City Saturday night. Miller is now charged with shooting with intent to kill after a former conviction of two or more felonies; assault and battery with a deadly weapon after a former conviction of two or more felonies; possession of a firearm after conviction/during probation, after a former conviction of two or more felonies, and feloniously pointing a firearm after former conviction of two or more felonies. Judge David R. Bandy issued a warrant for Miller’s arrest with bond endorsed at $2.5 million. Miller remains at large as of Tuesday morning. The 23-year-old male victim was shot multiple times by Miller, witnesses reported to Police, at a home in the area of Scott Avenue and 12th Street. The victim was transported to OU Medical Center in critical but stable condition.